Are you up for an outdoor challenge? The annual Russian River Mud Run is one of the most challenging races in all of California. Lace up your running shoes but be prepared to get dirty! 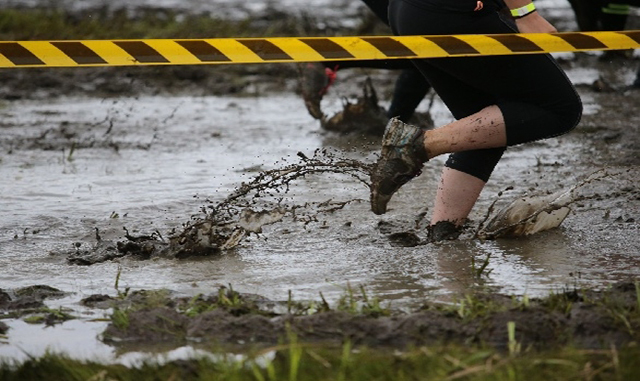 The course takes you through a winding series of obstacles and down muddy paths. This exciting race kicks off on the morning of April 2nd just a short ride from our Healdsburg hotel. Start your day with our complimentary breakfast before heading out to enjoy this very special event. So what is the race like for competitors? As you run the route, you'll make your way through a series of challenging obstacles. Be prepared to crawl through muddy trenches, climb over a tire wall, go under a log jam and test your skills on a balancing act along wooden planks. It's not all work though because you'll also encounter a water slide for a fun break from the race. Afterward, the Post Race Festival is an all ages event where you can enjoy snacks, entertainment, and games. Families are encouraged to cheer on participants from 9 am to 1 pm during the festival. Registration is now open for the 6th annual Russian River Mud Run. There are 5K and 10K races with prices ranging from $25-85 for kids (ages 8-15) and adults. Parking is $10. Runners are encouraged to wear normal running shoes and wear clothes that are comfortable but not too baggy. And remember to bring an extra pair of clothes. You'll need it after you cross the finish line!